History is what defines a nation and its people, and at the Museum of Mississippi History, you’ll discover how deeply the past impacts our future. As you walk through each exhibition, you are encouraged to explore and dive into the state’s rich historic and cultural heritage. What was it like before America was founded? What did the new world bring and how did it evolve to what we know today? All of these questions and more will be answered. So don’t wait another minute! Visit the Museum of Mississippi History and take a journey through the centuries. 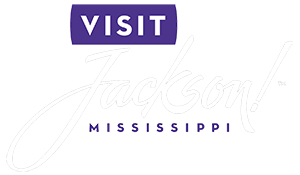 If you like the Museum of Mississippi History, you will love all the other amazing activities Jackson has to offer. Download our free Vacation Guide and get our local recommendations for museums, gourmet restaurants, top outdoor adventures, quaint shops, spas, and more! The Museum of Mississippi History is a great day activity and the perfect place to learn about the state’s history. Its modern setting is sure to appeal to every generation and will entertain as well as educate. Discover over 15,000 years of Mississippi history and learn about the events that shaped it through innovative exhibits and programs, as well as interactive videos and artifacts. More than a simple trip to a museum, you are going in for an authentic and active experience. As director Rachel Myers puts it, “The museum reflects history, challenges stereotypes, lifts up voices, highlights heritage and celebrates progress”. To have a complete experience, we recommend visiting the Mississippi Civil Rights Museum. As the sister museum, it will complement your day and bring in more educational value to your visit. The Museum of Mississippi History is divided into several exhibitions covering different periods of time. You can travel back and experience all the changes that the region went through with eight chronological themes. At the end of your journey, you are invited to join the bigger picture and tell your own story for the Reflections project. Enter a video booth and share your best memories of Mississippi. It is a fun, interactive way to connect the visitor with the content presented, and if you are lucky, your comments might be added to the general Reflections display. After spending the day at the Museum of Mississippi History, proceed your time traveling at the Historic Fairview Inn. 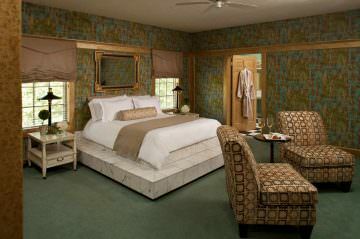 Our luxurious accommodations are located in a stunning 1908 mansion and offer all the modern comfort you need. Want to feel like Great Gatsby? Book the Roman Suite! After taking a hot bath, wrap yourself in a robe and sit by the fireplace with the one you love. Enjoy a good night’s sleep in the raised queen bed and wake up the next day feeling refreshed. Then, enjoy a delicious Southern breakfast and get ready for another day in beautiful Jackson, MS! Book your stay today at the Historic Fairview Inn and have the most relaxing stay.